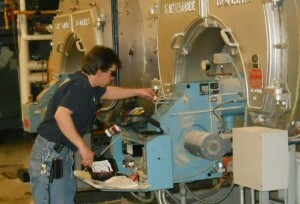 United Operation specializes in providing maintenance staff to small commercial office buildings. For larger buildings where our clients may employ full-time engineers, we supplement that staff on an as-needed basis. Allows the building to maintain a minimal staff, using United Operations staff to fill voids in skill level and help out in peak times as-needed. Provides a resource of trained labor to cover for building employees who may be on an extended absence for military duty, vacation, injury or illness. No need to train the staff we provide, they are experienced commercial maintenance professionals. HVAC, plumbing, electrical – all facets of building repair. We send the individual with the training and experience that you request. The pricing for this service varies according to skill level of the tech and the length of time needed. Contact Paul Daily at pauld@unitedoperations.com or call 763-551-0606 for a free evaluation and quote.